Someday I'll Sleep Autism Blogs: 7 Quick Takes Friday: With Signs, Smiles and a Baby that Just Won't Sleep! 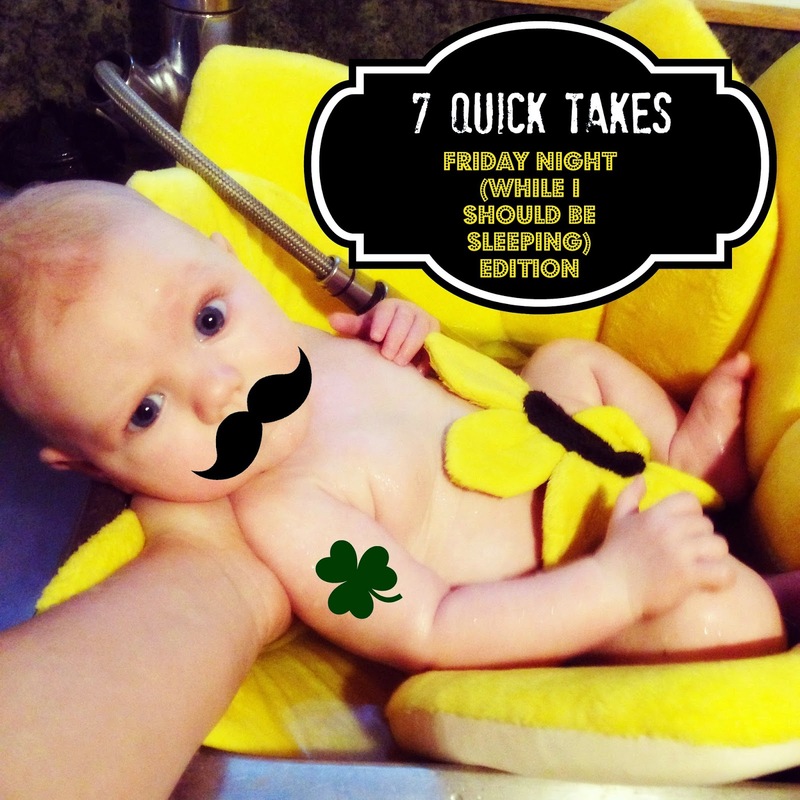 7 Quick Takes Friday: With Signs, Smiles and a Baby that Just Won't Sleep! I had big laundry folding plans for tonight but I'm afraid James might outlast them, because while all the big kids crashed early after getting up before the sun to get out the door before the sky had even started to lighten, followed by shuffling here and there and finally playing outside in the warmth, one little guy did not get the memo about going to sleep early. And every single time I looked at him he would giggle and look at me like this. I've been trying to convince him that he's supposed to be tired because it's been a long, long day already he starts giggling again and then fussing because he can't have all the fun he thinks he should be having in his bassinet or playpen. Except that all it took was watching me type those last two paragraphs after hours of trying to convince him that if he was really as tired as he seemed to be he should actually try closing his eyes for him to be out cold. I should have tried sitting down to write this post hours ago. 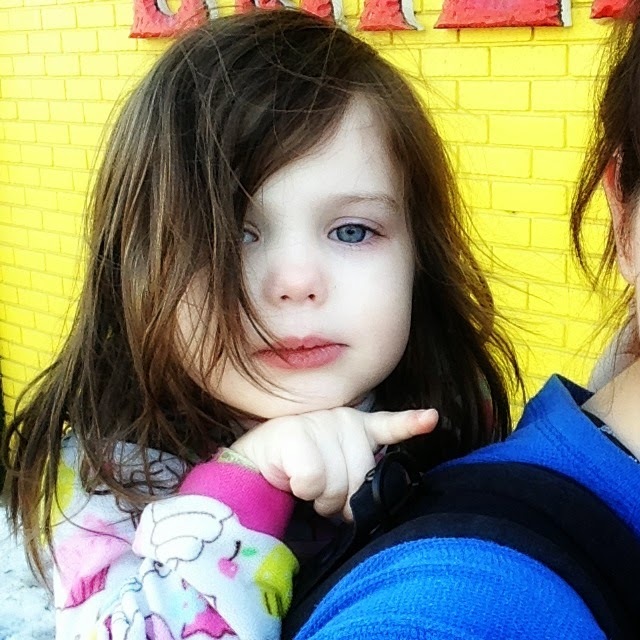 Yesterday when I posted this picture I thought that Maggie was pointing. On two separate occasions she very clearly pointed and said "Look! Look!" with her arm flung wide above our heads, and when I snapped this I thought it was more of the same and that I had captured her pointing. But then, this morning I saw her making this motion over and over again. And it was a very deliberate little movement, like when she signs "more" or "cracker." She made it deliberately multiple times during OT and then again once we got home. I mentioned it to a couple of her therapists, but no one knew what sign she was doing and so I posted the question on the blog Facebook page, along with a couple of groups that I'm in and the possibilities started rolling in. The motion she's making seems to look a lot like "who," "bird" and "frog." is that she has the place to herself. I don't think it's "who" simply because I don't think she has a reason to be using it, and she doesn't use question words often (okay, at all so far). But "bird" and "frog" were both real possibilities. I know that when she was pointing the first time there were a lot of birds in a little group fluttering above us. However the more I think about it the more I think that it's probably frog. She got out a huge tub of frogs at OT this morning and played with them and she was playing with tiny plastic frogs in putty and Paul told me that while Patch and I were gone frogs even came up in her therapy session at home. Apparently frogs are a big topic of interest right now. And I'm wondering if the flower shop we were walking by right around when I snapped this picture has some sort of frog in one of the spring time displays. I'll have to check it out next time we walk by and on Monday I'll definitely be asking her Monday-Tuesday therapist if she's taught her the sign because I know she sometimes googles signs on her phone and teaches them to Mae when Mae's really excited about something but struggling with saying a word. Then again the child absorbs and uses signs so much more easily than spoken language that I guess there's a possibility that she picked it up anywhere... with her memory she may even be remembering it from a Signing Time from months or years ago! 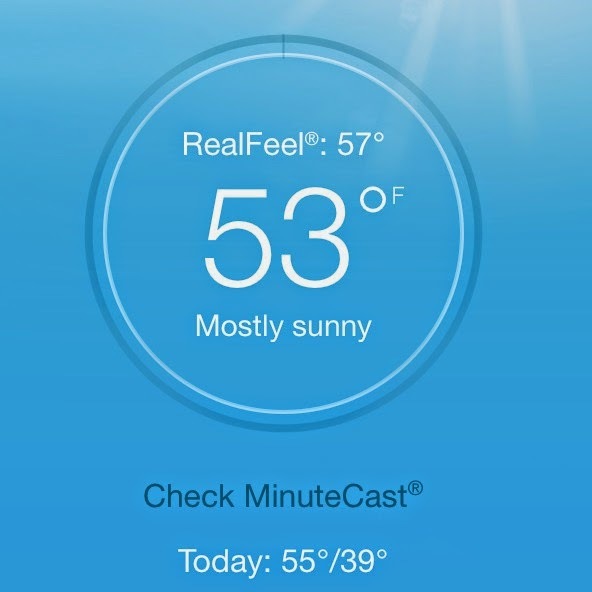 Oh look! James is awake. I'd like to thank Kitty Fish who just knocked over a pot in the kitchen and reminded James that he hates being asleep at the moment. Kitty Fish is not my BFF at the moment. Anyways... back to the post. This is Maggie hard at work. Apparently when she first started being asked to complete patterns she wasn't a huge fan. And then she changed her mind and she started talking about patterns. She had two patterns"bird, hat, bird, hat" and "duck, ball, duck, ball" and suddenly she started making up her own (outside of therapy, with no cards around) and would tell me "bird, hat, duck, ball!" in an excited voice. The kids were very, very excited. 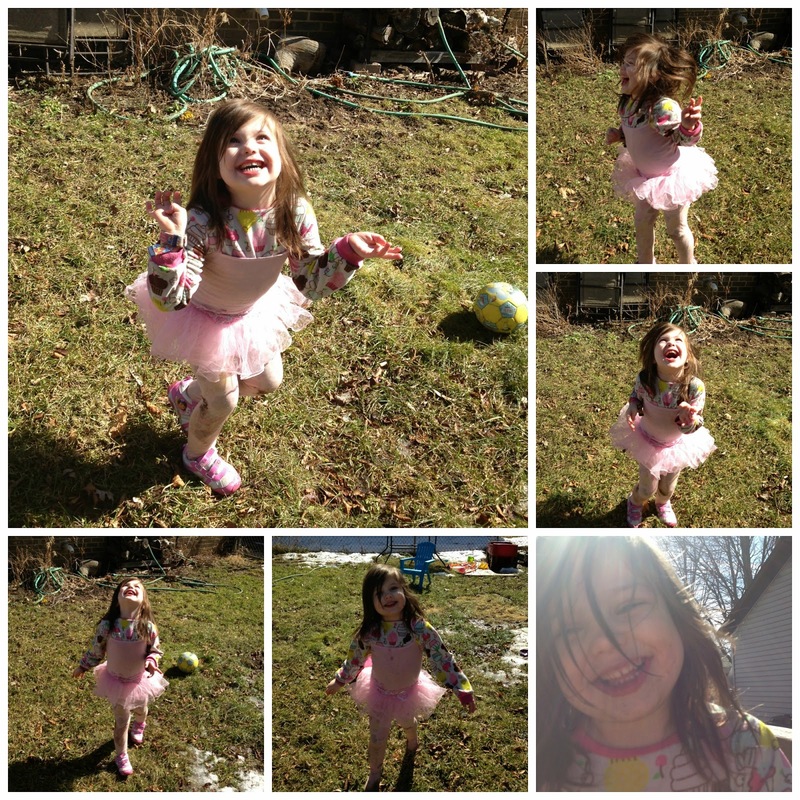 I snapped these pictures before Mae decided that the only real way to play outside in the yard was barefoot... by "barefoot" I mean without shoes in tights and a sleeper... in mud and snow. But after knowing this child for four and a half years I've learned to pick my battles and since buying new tights to feed her ever growing tight habit was near the top of my to-do list anyways I decided to not fight her on this one (it probably helped that there was no "winning" since her tights were soaked the second she kicked those shoes off). She had a blast. And I think it counted as a major sensory activity for the day. Here's an untouched (minus the watermark) photo of the snuggle bug. I think there's still a chance that there's a bit of red in that hair, although sometimes it just looks super blonde. Also, he was a little pink after about 25 seconds outside (he spent the entire time once his little spot was set up in the shade). So I think we can now safely say that he has his Daddy's skin. Patch had his first Early On play group today. And he thought he was a pretty big boy as we walked home. He is the first child who I've had who I can walk with on a street like ours without holding tightly to his hand the entire time. I made her wear a sweatshirt when we went outside. It lasted for about one minute. And then it was on the table and she was in short sleeves playing in the snow. For more 7 Quick Takes head over to see Kelly and this weeks Link Up! 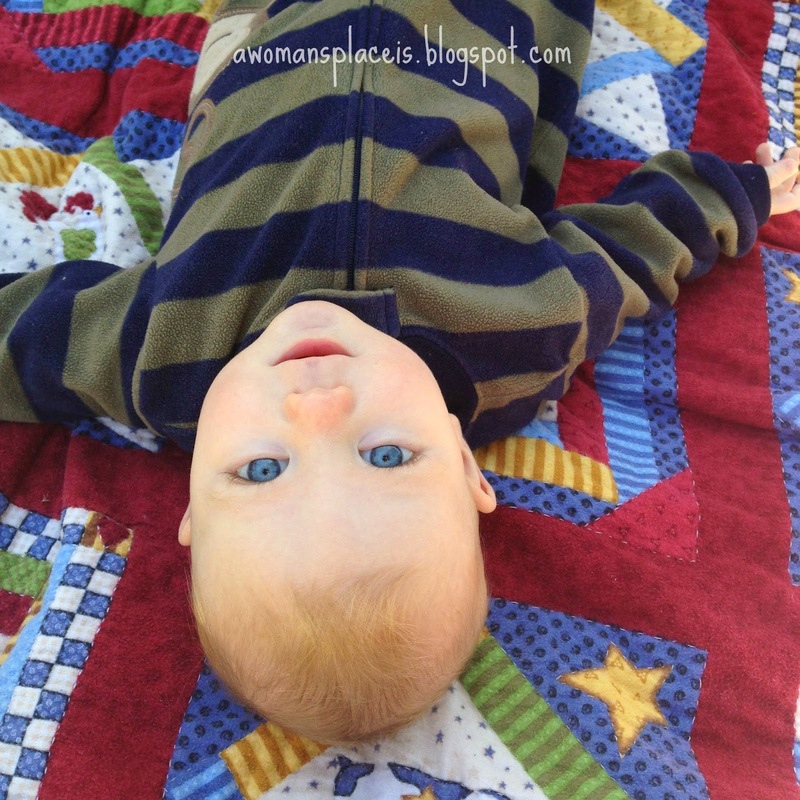 Your kids have the most beautiful eyes!